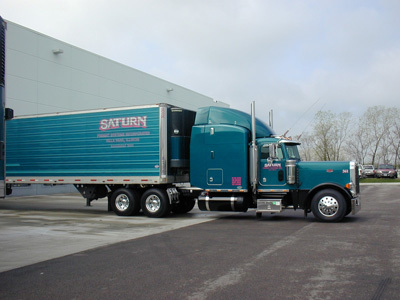 Saturn Freight Systems, Inc. is an Asset Based Transportation, Warehousing, and Local Cartage company that has served its customers on a nationwide basis for the past 38 years. Our experienced multi facet company can assist your company in all of the latest trends, pricing, and business practices in the logistics community. Click on any of the trailer doors above and find out how we can make your company’s logistics needs perform without exception for you and your customers. Copyright ©2019 Saturn Freight. All Rights Reserved. Designed and Hosted by TechPro.